Being fit is about so much more than the number on a scale or fitting into a certain clothing size. While being at a healthy weight is important, there are other measures the can be most helpful in giving us a full picture of your overall fitness. And your fitness level is what matters most at the end of the day because it directly links to how long you live and your quality of life. In particular, how fit you are in your 30's and 40's correlates with long term health and even mortality rates. So, what are the important factors when we are looking at true fitness levels? I like to look at 3 critical factors of fitness that you can influence with proper training and nutrition and that can be used as measures of progress over time. Cardiovascular endurance, flexibility, and strength are all important indicators and things we can measure fairly easily. As part of my Online Personal Training, I ask each woman to complete a series of tests once a month called the FITBODY Fit Test. This test allows us to see how a woman’s body is changing in those most important measures of fitness. These measures can be just as important (if not more so!) than the inches and weight changes she may see at our 2 week check ins. They tell us with certainty whether or not she is moving forward and becoming fitter and healthier or if we need to re-evaluate her program. Whether you have been exercising for years or you are just now making a commitment to a fit & healthy lifestyle, you can take my Online Fitness Test yourself as well and see how you are changing over time. I have complied data over the years to create benchmarks that let you know how you compare. All benchmark data is based upon women that have participated in the FITBODY Training program with the average age of 35. If you are working to get to your personal best and want to really know if your training and nutrition is making a difference, I encourage you to jump in and complete the FITBODY Online Fitness Test along with us! How do to it: This one seems easy. Sit quietly for 2 mins in a relaxed position and take your pulse. If you can do this one first thing in the morning, that is best. It does not have to be done at the same time as the rest of your fit test. 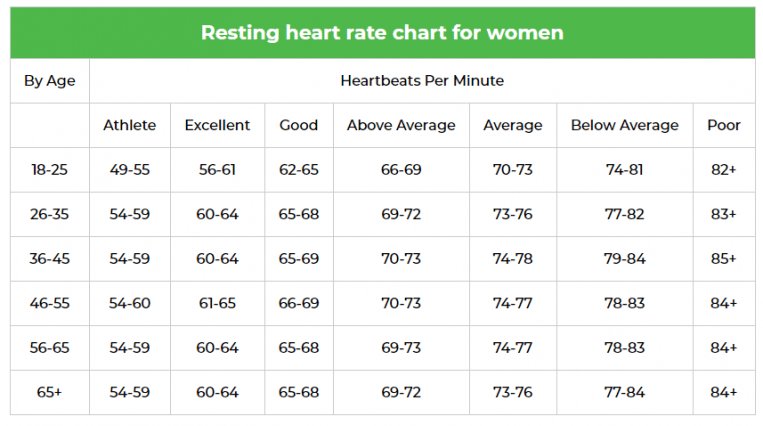 You can use a heart rate monitoring watch if you have one or simply count your pulse at your neck or wrist for 15 seconds and multiple that by 4. As we watch over time, we are looking for a reduction in your RHR as a result of increased fitness, meaning your heart is working more efficiently. These numbers can be especially motivating as you progress through our workout program. When you notice your RHR slowly declining over weeks and months, it’s an indication you’re getting fitter. What kind of changes are possible over time? How do to it: Find a 400-meter track and complete four laps as fast as you can. Begin with five minutes of very light jogging to warm up, then start your watch and go for it. Record your time. The mile is not a sprint, so pace yourself so that you are able to complete the entire mile. What kind of change is possible over time? How do to it: Using Proper Pushup Form, complete as many pushups as possible without resting. For each pushup, your chest must touch the ground and as you rise to full arm extension, a straight line should be maintained from shoulders to heels. The sit and reach test measures flexibility in your lower back and hamstrings. How do to it: You will need a tape measure and adhesive tape. A. Lay the tape measure on the floor and place a piece of adhesive tape across the tape measure at the 15 inch mark. B. Without your shoes on, sit on the floor with your heels at the tape line, about 12 inches apart and the zero mark of the ruler toward your body. C. Keep your knees completely straight and hands together as you reach forward as far as possible. D. Hold the farthest position for 3 seconds. Do not bounce or allow one hand to reach further than the other. E. Repeat this test 3 times and record your farthest reach. How do to it: Using a tape measure, line out 7 feet on the ground. Stand with your feet next to one another at the 0’ mark and take a long bound forward as far as you can. Record your jump length. Get started today working directly with Julie Lohre in her Online Personal Training Program!